36 posts categorized "Canadian Diamonds"
Despite a market that accounts for more than a third of global demand for the gemstone, the U.S. does not have any significant natural diamond resources within its geographical borders. Instead, Russia supplied about a third of the total carats mined in 2015. Diamond production levels have remained steady in recent years, but industry analysts have predicted a dip in demand due in part to shifting preferences among millennials. The generation is getting married later, if at all, and has unique preferences. In October, the Diamond Producers Association – a group of seven major diamond retailers, including De Beers and Canada's Lucara – launched an advertising campaign targeting millennial consumers called "Real Is Rare." The industry organization, founded in 2015, even got celebrity Nick Cannon involved. But diamonds may not be as rare as the trade organization makes them out to be. After a drop in production between 2008 and 2009, more than 120 million carats of diamond have been produced each year by a handful of countries, largely concentrated in sub-Saharan Africa. According to the U.S. Department of the Interior, there are also "substantial" reserves of the gemstone around the world. Here are the countries that produced the most diamonds in 2015, according to the Kimberley Process Certification Scheme, a collaboration among government and industry organizations. Based on the analysis below, 135 million carats of rough diamonds, valued at $17.8 billion, will be mined in 2014, which would represent an increase of approximately 3% over 2013 estimates. The 50 mines itemized below are estimated to account for 90% of global rough diamond supply in 2014, with the balance coming from private or small-scale operations, where production data is unreliable or not available at all. Image 1: Rough diamonds at the Mirny Sorting Center, Republic of Sakha, Russia. Source: ALROSA. The Marange diamond fields, a 300 square-mile alluvial deposit in Zimbabwe, was ranked the worlds largest source of diamonds in 2013 in terms of total carats produced, estimated to have produced almost 17 million carats or 13% of global supply. However, It appears that 2013 production levels will not be sustained in 2014 as grades have decreased and easily minable loose gravel has been rapidly depleted leaving more difficult-to-mine conglomerate stone. While Marange is a relatively new project with formal mining commencing only 5 years ago, alluvial projects like Marange tend to have a much shorter life span than open-pit or underground diamond mines, as the economic resource is limited to the easily accessible surface stones; mining deeper solid conglomerate rock is not economic in a lot of cases. None of the 7 private companies operating in Marange provide specific production guidance, but representatives of the companies have publically expressed frustration with decreased operating economics resulting from depleted resource. In 2014, Marange production is estimated to drop to 8-12 million carats or less. Image 2: Orapa processing plant 2. Source: De Beers Group. In 2013, Botswana’s Orapa mine was the worlds largest diamond mine in terms of total value of carats produced. In 2014 Orapa is again estimated to be the worlds largest by value estimated to produce $1.9 billion worth of diamonds. In 2014, the Orapa mine is also estimated to be the worlds largest in terms of carats produced with 12.9 million carats. De Beers’ and Botswana’s joint venture portfolio, Debswana, realized a 17% increase in production in Q4 2013, highlighted by higher grades realized at Orapa and the Orapa One processing plant resuming operations following unplanned maintenance in Q3 2013. Australia’s Argyle mine, known as the worlds largest producer of fancy colored diamonds, including elusive pink and red diamonds, is estimated to produce 12.6 million carats in 2014, making it the second largest diamond mine in the world in terms of carats produced. While Argyle has a history of producing some of the most precious colored diamonds in world, unpopular brown diamonds, most of which are classified as industrial quality, account for the majority of Argyle’s production making the mine’s average carat value produced among the lowest in the world. Image 3: ALROSA’s Mir mine. Source ALROSA. The Russian government-run super-major ALROSA has 9 primary diamond mines, 10 alluvial mines, and 2 mines in development, accounting for approximately 95% of all Russian diamond production. ALROSA’s mines represent 8 out of the top 15 largest producing diamond mines in the world in terms of carats produced. ALROSA’s Jubilee and Nyurbinskaya mines are both estimated to produce over 9 million carats in 2014 making them the fourth and fifth largest projects in the world according to 2014 projections. Jwaneng, the second largest diamond mine in Botswana, is nearing completion of the Cut-8 expansion, which will extend the mine life to at least 2025. Cut-8 will provide access to approximately 95 million carats of high quality diamonds, making Jwaneng the most valuable diamond reserve in the world. Jwaneng successfully recovered from a slope failure in Q2 2012, and is estimated to produce over 9 million carats of diamonds worth $1.3 billion in 2014. Image 4: The Jwaneng mine, Botswana. Source: Debswana. Venetia, South Africa’s largest diamond mine, realized a production increase of 57% in Q3 2013, on higher volumes and grades following recovery from flooding earlier in the year. A plan to convert Venetia to an underground mine received environmental approval in October 2013 and the project build is scheduled to commence shortly, which will increase the mine life beyond 2040. Venetia is estimated to produce over 3.5 million carats in 2014 with production valued at over $500 million. Lesotho, a landlocked country within South Africa, is home to the Letseng mine, which has a history of consistently producing the most valuable diamonds in the world on an average per-carat basis. Letseng is estimated to produce only 110,000 carats in 2014, but the average price of carat produced is estimated to be around $2,200, which is significant considering the global average price per-carat of rough produced is around $130. 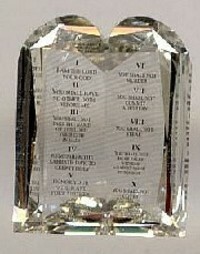 Image 5: The Leseli La Letšeng is a 478 carat D color diamond that was recovered from Gem Diamond’s Letšeng mine in September 2008. It was sold via tender in Antwerp in November 2008 for $18 million. Source: Gem Diamonds Ltd.
2014 will mark the first full year of production at Russia’s Grib mine. Estimated to produce 4 million carats annually once fully ramped up, Grib has a reserve of approximately 75 million carats and a mine life of approximately 20 years. Currently owned by Russian oil-major LUKoil, the company has publicly expressed interest is selling the asset, which lies outside of the oil company’s core strategy. Botswana’s Ghaghoo mine is expected to commence production in the second half of 2014. Once production is fully ramped up, Ghaghoo is estimated to produce 750,000 carats annually worth an estimated $200 per carat. Image 6: Ghaghoo development. Source: Gem Diamonds Ltd. The most anticipated diamond development project in the world, Canada’s Gahcho Kué, continues to move forward as permitting is expected to be approved in the second half of 2014, with mechanical completion of the processing plant and cold commissioning anticipated to start as early as 2015. Once fully ramped up, Gahcho Kué is estimated to produce 5 million carats of diamonds annually worth an estimated $185 per carat. Figure 1: Global ranking of diamond mines by estimated 2014 production in terms of carats and dollar value. Proactive Investors spoke to Manson a matter of days after the road to Stornoway’s production site had broken through; that is, right after the four segments composing the 240km long road – 97 km of which Stornoway was responsible for, the rest coming care of the ministry of transport of Quebec -- were all linked up. It is an auspicious event, because “that’s the last thing to achieve before final project financing and starting construction of the mine”, Manson points out. The road is to allow year-round access to the site, and the schedule on which it was constructed bodes well too: the plan was to get the road open by the fourth quarter of this year, and the company managed that by the end of August. Stornoway’s plans, as established in the January 2013 optimization study, include plant commissioning before the end of December 2015, with commercial production to be achieved by mid-2016. From there, the numbers are dizzying, with the mine set to average about 1.7 million carats a year at about US$190/carat, yielding revenues between $300 and $450 million. According to the NI 43-101 compliant report for the site released in July of this calendar year, total indicated resources stand at 27.09 million of contained carats, with a further 16.85 million carats classified as inferred and 25.7 million to 47.8 million carats of total exploration upside. The resource estimate for the project, which is located approximately 350 km north of Chibougamau in the James Bay region of north-central Québec, showed a 14 per cent increase in indicated resources as compared to the previous report, by converting 2.3 million carats of near-surface inferred mineral resources to the indicated category. And the case to be made for the calibre of the project itself is strong indeed. It is also set to be Quebec’s first diamond mine ever. And, as Manson says, only two other new diamond projects of any scale exist anywhere in the world: Gahcho Kue in the Northwest Territories and the Grib project in Russia, set to be in production by the end of this calendar year. Certainly, the project is high profile in La Belle Province. And while media relations have had their role to play, Manson emphasizes the importance of Stornoway’s relationship with the local community. Global 2012 rough diamond production is estimated to have been 127 million carats, 2013 production is estimated to be 130 million carats. The below chart details the production of the most significant diamond mines in the world, estimated to produce a combined 113 million carats in 2013 (or 87% of estimated 2013 supply). The balance of 2013 global rough diamond production (or 13% of estimated 2013 supply) not included below is composed of small-scale or informal mining operations, where production data is opaque or not available. For example, the Democratic Republic of the Congo (DRC) is the third largest diamond producer in the world by volume, but there is only one commercial producer in the country, so the majority of DRC production data on a project basis is unreliable or not available at all. Like most industries, the price of diamonds is product of the balance between supply and demand. This is especially true now that there are many diamond producers and no De Beers monopoly. The lead time to bring on new diamond production is long and requires great investment so we can expect to see prices increase until this investment in new mines is justified. A Birks jewelry store in Edmonton, Canada, is selling a 16.01-carat fancy intense yellow diamond set on a diamond pavé platinum ring. The natural colored, Asscher cut, VVS1 diamond was recently discovered and is conflict-free, according to the Birks jewelry chain. The ring is on sale for CAD$1.8 million ($1.77 million). The ring will be on view and on sale at the Birks store in Manulife Place until April 16 before moving to the Birks store in the Core shopping center in Calgary. Birks is 30-store fine jewelry retail chain in Canada. It is part of Birks & Mayors, which also operates 23 stores under the Mayors brand in Florida and Georgia, two retail locations in Calgary and Vancouver under the Brinkhaus brand, and one retail location in Orlando under the Rolex brand. Diamond Source of Virginia provides its clients exceptionally beautiful fancy colored diamonds and custom made designer mountings. To optimize the color of these fancy yellow colored diamonds, it is best to have 18-karat yellow-gold metal surrounding and touching the diamond regardless of what the color of the metal is in the rest of the mounting. Dominion Diamond Corp., formerly known as Harry Winston, has seen diamond prices rise over the last few months, and predicts they will continue to increase over the next year. While the company saw overall diamond prices decrease this year, it also found that prices rose 9 percent since August, and 6 percent in the current quarter, according to James R. W. Pounds, the company’s executive vice president, in a conference call following the release of its financial results. He said he expects prices to plateau over the next couple of months, and then possibly increase again by the end of the year. He noted that diamond demand remains uneven in India and China, but said the company is seeing “upbeat trends” in the United States, with strong indications that the American distribution channels were consolidating. “Larger players now dominate what was once a fragmented market,” he said. Company executives also dropped numerous hints they have their eyes on buying the rest of the Diavik mine, after purchasing nearby Ekati. The company currently owns 40 percent of Diavik, and the remainder is currently being offered for sale by owner Rio Tinto. CEO Bob Gannicott talked at one point about possible benefits that could occur if Ekati and Diavik “were to come under common ownership.” Later, he added that it “was not clear at this time" whether Dominion would acquire Diavik. Dominion said it expects to close its purchase of the Ekati diamond mine by April 10. The company also reported mixed financial results. The past 12 months have been witnessed many forms of economic crisis and the diamond industry was no exception. In past decades when demand for diamonds dropped, De Beers simply stockpiled diamonds to keep supplies and therefore prices stable. However, in recent years the European Union has forbidden monopolistic activities (like stockpiling) and De Beers now only controls 40% of the diamond market compared to over 80% a few years ago so no longer has full control over diamond production. As a result, the diamond industry had to implement new strategies to cope with the economic crisis. The industry’s main tool was stopping production of diamonds. De Beer’s mines in Botswana, Canada, and Namibia were mostly shut down with only about 10% production in the first quarter of 2009 compared to the same time in 2008. While production is slowly being brought back online, some companies like Harry Winston Diamond Corporation has decided to cancel winter production at their Diavik Diamond Mine in Canada after a summer shutdown and production returning in the fall. Rio Tinto shut down its Argyle diamond mine in Australia during the first quarter of this year resulting in a production drop for the country of almost 90%. Alrosa, the Russian diamond producer, continued to produce diamonds but protected prices by having the Russian government purchase and stockpile the diamonds. Even with the cuts in production, the dramatic drop in demand results in global polished diamond prices dropping 15.7% from August 2008 to August 2009. Most of that drop occurred in the November to February period with prices being stable since May. The past year produced the largest drop in diamond demand in more than 50 years with the most visible fall out being the weekly reports of bankruptcies in the retail and manufacturing sectors of the diamond industry. Retailers in particular simply could not cut enough costs to compensate for the lack of sales. Retailers and wholesalers who had made money by leveraging purchases of diamonds as the prices were going up suddenly saw their credit lines cut and interest rates rise at the same time their inventories lost 15% or more in value. What can the diamond industry expect in the months ahead? With the US economy slowly coming out of the recession and demand continuing to grow in China and India, demand should become more stable and head back up. At the same time, many of the large diamond mines are moving from open pit to underground production, which will lower production levels. The economic crisis has also delayed opening of any new mines so global production of diamonds will soon be outpaced by supply again, which means diamond prices will soon return to their historic 3 to 4 percent annual inflation trends. However, the that price inflation will likely see considerably short term fluctuations as the industry continues to react to the more chaotic global financial times. With the worldwide production of diamonds on the decline, mining efforts in Canada’s northern regions are continuing at full speed. The premier Canadian diamond mine is the Diavik mine, located a mere 130 miles south of the Arctic Circle. The mine is a joint venture of Rio Tinto and Harry Winston Diamond. Diavik production in 2007 totaled 11.9 million carats, which is about a tenth of worldwide production. Operations include a 650-foot excavation pit, preliminary work on a second pit, and funds committed to underground operations that will keep the mine productive past 2020. Diavik Mine’s Kimberlite pipes have proven to be even more diamond rich than initially estimated so the owners continue to invest in future production. Some of the other Canadian diamond mines are having economic troubles due to an unusually warm winter causing shortages of fuel, equipment and supplies. These problems were compounded by the rising Canadian dollar, which increased the cost of diamond production relative to diamond sales that are based on the dollar. Even though diamond prices have increased, the production costs have increased even more, resulting in economic challenges for De Beers’ Snap Lake project. With construction costs, three times original estimates, De Beers recently took a billion dollar write down in stated value of its Canadian diamond mining operations. De Beer’ Victor mine in Northern Ontario is planned to begin production later this year but it is facing the same financial pressures as the Snap Lake mine. The economic troubles were intensified by the Ontario government increasing the value tax on diamond production from 5 percent to 13 percent, resulting in an 8 percent increased burden on mining operating margins. Early in the permitting process, De Beers’ Gahcho Kue project east of Yellowknife is projected to have economics that are more favorable. As a result, development efforts are being accelerated to recoup quicker the investments. Tahera Diamond’s small Jericho mine opened in 2006 in Canada’s Nunavut territory with the financial support of Tiffany & Co. The warm winter limited the use of the ice road necessary to supply the mines and Tahera was unable to meet financial obligations in January and halted mining operations. The mining company is now seeking potential buyers for the company. While not part of Canada, Greenland shares the same geological craton (stable part of the earth’s crust) which has produced the major diamond productions in Canada. Hudson Resources, an exploration company, is conducting bulk-sampling operations in West Greenland to determine the diamond content of the ore. This week Harry Winston Diamond Corporation announced a new mine development plan for the Diavik Diamond Mine own jointly by Harry Winston (40% ownership) and Rio Tinto (60% ownership). The plan involves a $218 million investment by Harry Winston and $327 million by Rio Tinto, both over the next two years. Since the Diavik Diamond Mine started production in 2003, operations have been open pit mining and have produced 35 million carats of diamonds. The new development plan will facilitate the start of underground operations starting in 2009, which would extend the life of the mine to beyond 2020. The total estimated reserves for the mine were about 110 million carats, meaning that there are about 80 million carats yet to be mined. The Diavik Diamond Mine is located 300 kilometers northeast of Yellowknife, capital of Northwest Territories in Canada. Situated on a 20 square kilometer island in Lac de Gras, the mine employs approximately 725 workers. The mine extracts ore from three kimberlite pipes, designated A154 North, A154 South, and A418, which contain higher than average content of readily marketable diamonds. The three pipes are all located beneath the waters of Lac de Gras so operations required construction of a dike to surround each pipe so the water could be removed before mining could begin. The lake freezes from October to June with an average thickness of 1.5 meters. The physical plant (processing, maintenance, powerhouse, workers accommodations, etc.) are located on the island with enclosed walkways connecting the major buildings. All supplies to keep the mine operating must be trucked in over a 600 kilometer long ice road constructed each winter from February to April. The Diavik Mine requires about 4,500 truckloads a year to maintain the operations year around.